The easiest projects are the ones that start from the ground up. Let us help you take care of the dirty work on your next renovation. That way, you get to concentrate on what comes next. Building Separation: Need to remove a portion of the building, but leave the rest? That’s our specialty. Our team knows how to secure and separate a building so that only the remainder stays perfectly intact. Selective or Interior Demolition: Working on a remodel and need to remove one an existing layout while leaving the rest of the building intact? Avoid making potentially dangerous and costly missteps by bringing our team of experienced professionals in to do the heavy lifting. Concrete and Asphalt Demolition: Removing these materials is harder than it looks. We know the tried-and-true methods to get the job done safely. Site Clearing & Evacuation: If the whole building needs to come down, let Earthwise make sure it goes off without a hitch. Mechanical and Electrical Demolition: Our team has experience working with a variety of mechanicals such as HVAC units, ductwork, boiler and chiller removal, cooling towers, plus piping and supply lines. Emergency Response Work: Earthwise will respond to any disaster ranging from tornadoes, to fires, and condemned and or collapsed buildings that are no longer safe to inhabit. In the past we’ve also coordinated with governmental agencies such as the Federal Emergency Management Agency (FEMA), the Federal Bureau of Investigation (FBI) and the U.S. General Services Administration (GSA) and worked with them, as needed. Don’t see your demo on this list? Don’t worry. This is just a selection of what we do. Call us at 719-599-3366 to talk to someone about how we can be of assistance with your unique project. We started with demolition and it is what we’re known for. Earthwise’s president, David Deighton has been in demo his entire life. 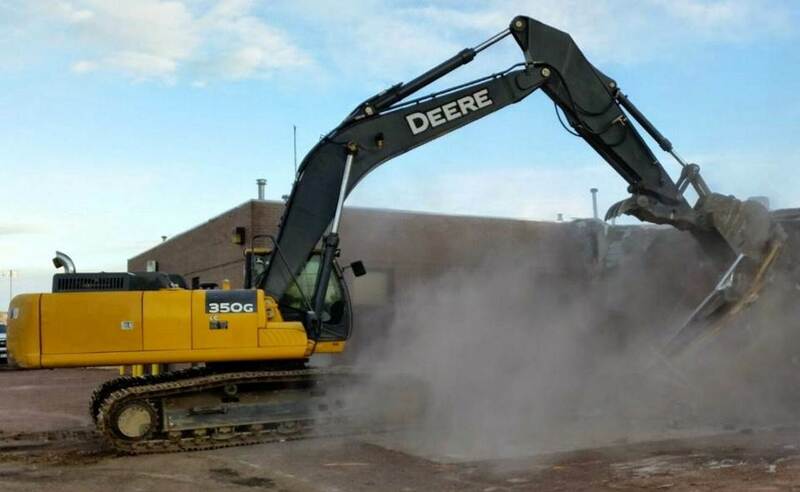 Growing up, his parents owned their own demolition company in the Colorado Springs area and, though they’ve since retired, he’s been able to build a strong foundation around everything he learned from their 40 years of experience in the industry. On every job, we make sure to focus on what’s most important. – delivering our projects on-time, on-budget, and safely. Since 2007, we’ve assisted countless clients in manage their most demanding challenges throughout the entire demolition process. We like to say that each interior demolition is as unique as the building itself. We price and evaluate these projects on an individual, case-by-case basis to ensure that you’re receiving the best service possible. Give us a call at 719-345-8000 to talk to someone on the Earthwise Demolition team about how we can best serve you.